Check out this recently remodeled and SPACIOUS 3 bed/3 bath home in the heart of Sombrero! Located across the street from the GOLF Course and close to the BEACH. A MONEY MAKER Rental property with 5 Star VRBO ratings and a 2017 history. 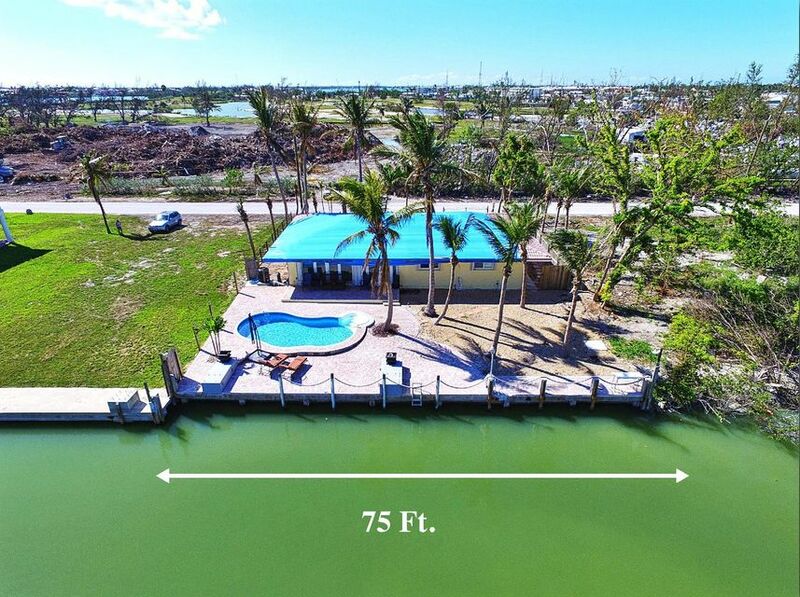 Property boasts 75Ft. of concrete seawall and deep water access. In-ground concrete POOL, custom PAVER patio and tropical garden make this an epic backyard OASIS. Interior features include: IMPACT Resistance windows & doors, EXOTIC GRANITE counter tops & new porcelain wood tile floors & light fixtures. Enjoy your privacy at home but within walking distance to everything in town. This property has it ALL & ready to make your KEYS dream come true! Listing includes some pictures before-Irma. New metal roof & all repairs finished in mid-December.